In past few weeks or months, I have encountered a number of interesting “episodes” related to satellite technology. First, a few months ago there was a news item in an Egyptian online paper stating that Iran and Qatar were collaborating on a project to put two telecommunications satellites that would compete with the Egyptian Nilesat, which carries hundreds of Arab (and some non-Arab) TV channels. Why? Because Nilesat had just dropped the Iranian (Arabic-speaking) news channel Al-Alam (which is similar to the English-language Press TV, for those who know that one). Secondly, in the first few days of the Football World Cup, which was to be exclusively broadcast by Al-Jazeera Sports for the whole Arab world, there was that piracy/interfering operation, which prevented millions of Arab football fans from watching large parts of the first few games – an episode that has (unofficially) been placed on the back of the Nilesat operators. Thirdly, just two weeks ago, Algeria had its second satellite launched, this time by India’s ISRO (Indian Space Research Organization) – more on that below. And a few months ago, Iran took a quantum leap by showing that it now could both construct satellites and place them in orbit with its own rockets. Finally, when I took part in COSPAR-10 (the UN’s “Committee on Space Research” Conference, which every two years draws a few thousands space and astrophysics researchers for a whole week of talks, exhibition, etc. ), which ended just a few days ago, I noticed that this time not only did ISRO have a booth there (the only non-western organization to be displaying its achievements – and they are many), it will be sponsoring the next COSPAR meeting, in July 2012, in Mysore (close to Bangalore). I could go on citing satellite “episodes” in my life, some more centrally than others… For example, that a colleague and I have a few students setting up a receiving station for a meteorological/environmental satellite. Also, the fact that Dubai (my neighbor-emirate) had its first satellite placed into orbit almost exactly a year ago, that Abu Dhabi has now for two consecutive years held a large Space Exhibition and Conference (in January of 2009 and 2010), etc. Clearly, satellites have been on my mind – particularly in relation to the Arab-Muslim world – for some time now. India became a “space power” in 1975 when it made its first launch. Before that it had for a decade developed missile and launching capabilities. The Arab world first focused on telecommunications satellites in the seventies, with Arabsat (Arab Satellite Communications Organization) and (later) Nilesat paying for satellites to be placed in orbit and renting slots for TV and Radio channels. Arabsat was established in 1976 by the member states of the Arab League with a goal of serving the telecommunication, information, culture and education sectors; its first satellite was placed in orbit by Ariane in 1985. It has since had a good half dozen satellites operating on and off. 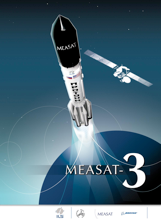 Somewhat similar to Arabsat, MEASAT (Malaysia East Asia Satellite) is a communications satellite operator with at least three geostationary satellites (MEASAT-1 and MEASAT-2 were launched in 1996 and MEASAT-3 in 2006). In terms of individual countries, Iraq was the first Arab state to launch a satellite (in December 1989), becoming the tenth nation in the world to put one in orbit. Other Arab countries later had some satellites placed in orbit for them; they largely focused on remote sensing, e.g. 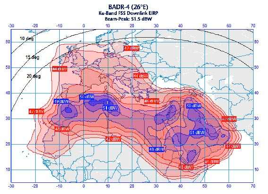 Morocco (Maroc-Tubsat, launched in Dec. 2001) and Algeria (with its Alsat-1, developed by Surry and launched in Nov. 2002), or GSM-telephony, e.g. the UAE’s Thuraya (built by Boeing for 1 billion dollars, the first being launched in Oct. 2000, the second in Jan. 2003). Finally, I should also mention Pakistan: in 2005 it tested its Shaheen II missile, which with a range of some 2,000 km is capable of putting a satellite in space – not to mention military applications. So we see that except for Iran, which has lately signaled its serious will to become a regional space power, talking to the OIC (the Organization of the Islamic Conference) about designing and placing satellites for Muslim countries, either collectively or individually, we see lots of interest and some movement on the space technology front but little homegrown effort. Good man thanks, but these traitors are not representing iranian nation, thay are only some zionist paid pupet here on youtube to make a mess against IRI. most of iranians stand loyal behind thire leadreship.those guys know as greens are nothing in compare﻿ with the ocian of the nation.